Truffle (tartufo) is the common noun designating the fruiting bodies (sporocarps) of muchrooms (funghi), in genus Tuber, whose entire life cycle takes palce in the earth (subterranean). Truffles must live in symbiotic relationships with certain trees in order to produce the precious sporocarps. They present an external skin called peridium, which can be smooth or bumpy and of varying colours.Truffles have been known for a very long time. However, we don’t know for sure whether the historians of antiquity referred to the same truffles, or other hypogeal muchrooms (funghi). 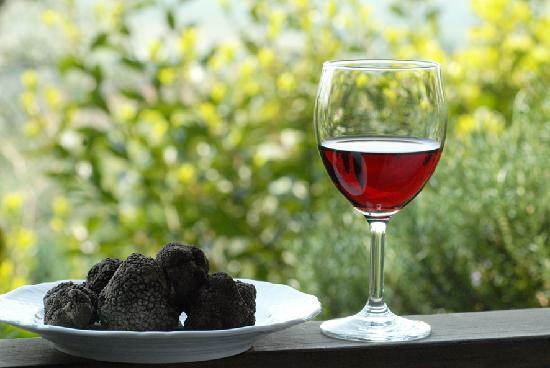 Some scientists of that time described the truffle aroma as a sort of quintessence producing ecstatic effects on human beings: the sublime synthesis of the satisfaction of all senses as the representation of a superior pleasure. It is therefore just a theory that the Sumerians and Jewish, ca. 1700-1600 b.C., consumed truffles. The two organisms, the truffle and the tree, mutually exchange substances through the roots and by means of mycorrhizae, which are different in the different species. The first mention appears in the Naturalis Historia by Pliny the Elder (79 A.D.). The anecdotes told show that truffles, Tuber in Latin, were greatly appreciated by the Romans, who certainly learned about their culinary use from the Etruscans. In the first century, the philosopher Plutarch of Cheronea introduced the idea that this precious fungus originated from the combined action of water, warmth and lightning. Many later poets derived inspiration from this idea. Juvenal, for example, explained its origin as the result of lightning thrown by Jove near an Oak, a tree sacred to the Father of all gods. Also, due to Jove’s well-know power of seduction, aphrodisiac properties have always been ascribed to truffles. 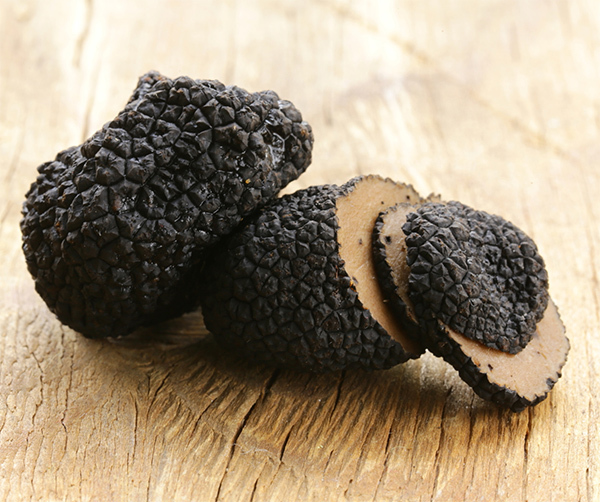 Italy in the Classical period produced three kinds of truffles: the Tuber melanosporum, the Tuber magnificanus and the Tuber magnatum. The Romans, however, only used the terfez (Terfezia bouderi), a fungus of similar appearance, which the Romans called truffles, and which is sometimes called “desert truffle. 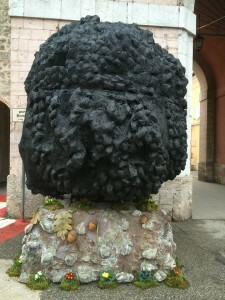 Italy is one of the world’s largest producers and exporters of truffles. This year, these diamonds are even more valuable after a dry start to autumn in Italy has made white truffles scarcer than ever. 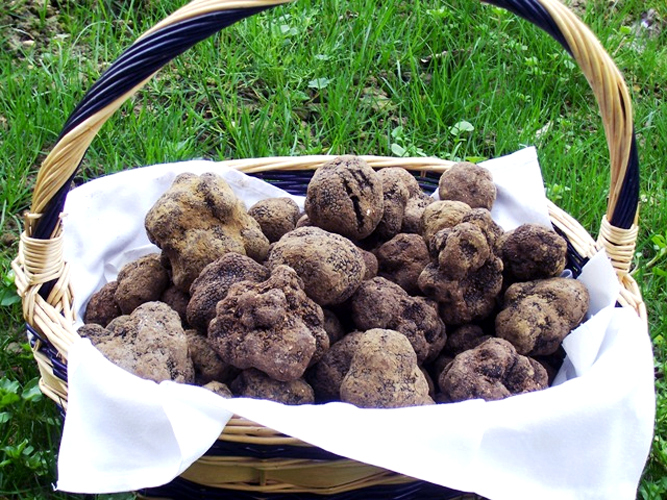 Throughout the Peninsula you can collect all kinds of truffles used in gastronomy, now. 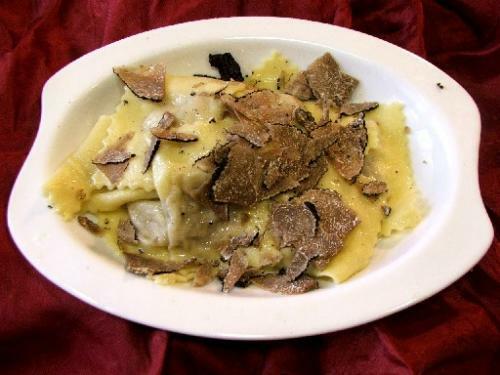 Italian white truffles sell for as much as Sterling Pounds 2,800 a pound and harvests are up. None has dampened the appetite for this prized funghi. Truffle must live in symbiosis with certain trees. The inner portion (the flesh or gleba) can vary in colour, from white to black and from pink to brown, and presents veins, varying in size and branching, which define cavities containing large cells (spore sacs or ascus), which in turn bear the spores. The morphological charcteristics of the peridium, gleba, ascus and spores, together with the size and the sensory characteristics, will determine the different species of truffle. Extremely highly priced truffles are in fact composed, for over 80%, of nothing but water. 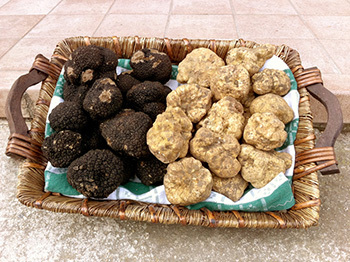 In both truffles, the prevalent minerals are potassium, calcium, sodium, magnesium, iron, zinc and copper. The value of truffle lies therefore not in its nutritional value, but in its ability to provide pleasure to the consumers. It is for the same reason that market prices vary greatly from one species to the other, although the chemical composition is very similar. confirming its privileged stage to tell the territories as real sweet tooth and cultural fields. 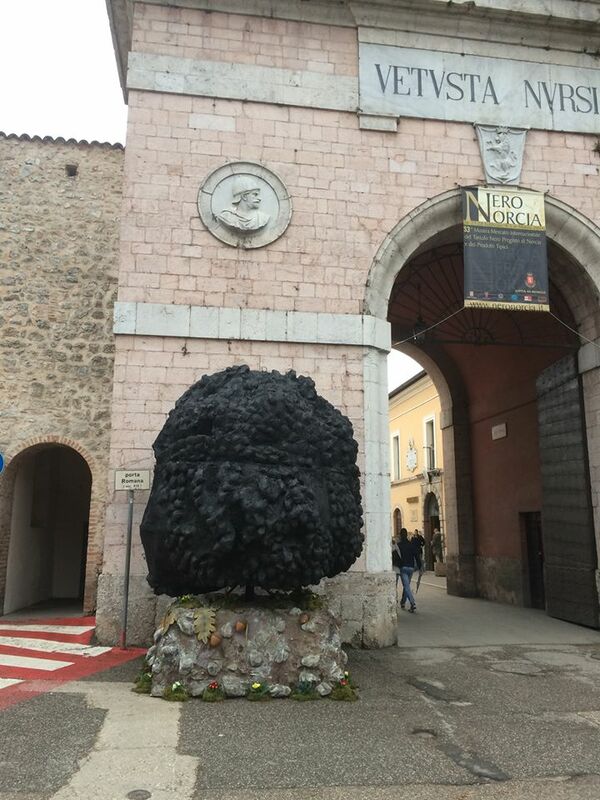 between continuity and innovation, the famous festival dedicated to “King Truffle” will try to impress its visitors. for around 10 days in the fridge. Melt 100 gr. of butter in a cup of hot soup, add half a spoon of withe flour and mix the Whole with 100 gr. 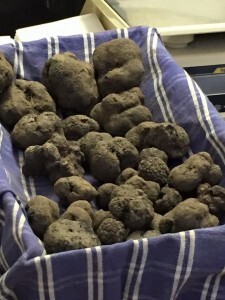 of black valuable grate truffle or 50 gr. of sliced withe truffle. 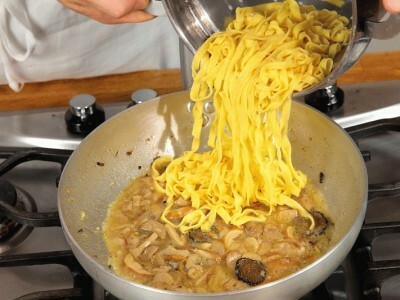 Truffle can be replaced by “Tartufata di Bosco” sauce or “precious black truffle sauce”.